Advertisements can wreak havoc on your self-image and giving birth, well, wreaks havoc on your body – but UK retailer ‘Mothercare’ has challenged this idea with their new diverse ad campaign that celebrates postpartum bodies. The company first released the ad series for the Body Proud Mums campaign that was created for Transport for London’s “The Wommen We See” competition, whose aim was to have participants produce ads that reflected “London diversity, feature women from all backgrounds and move away from harmful gender stereotypes” – and that’s exactly what the contest’s runner-up Mothercare did. British photographer Sophie Mayanne shot the breathtaking photographs, which feature women of all shapes, sizes, and colors proudly flaunting off their postpartum bodies.”We wanted the images to feel authentic and honest — and wanted to document the diversity of motherhood,” Mayanne told CNN. “There are a lot of marginalized bodies we don’t see represented in the media.” Mayanne was a natural choice for this project, in 2017 she announced that she would no longer “digitally manipulate skin” in her work. The ad now appears in more than 30 tube stations across London on both LCD screens and escalator panels. “The inspiration behind being part of this project is to show those around me that stretch marks and weight gain don’t define us, that we should embrace our strength and beauty. I am a young mother with many influential people around me, and together we can see the beauty of motherhood. I have always loved my body no matter what, and my friends would look up to me for that. Pre-pregnancy, I had nice curves and my skin was smooth. During pregnancy my body changed dramatically, not just in weight – but also my breasts and skin, in the ways that aren’t considered to be beautiful. “Being a Mum of size is a blessing and knowing how my body has changed in the last 7 years is really amazing in so many different ways. Hard work to grow a tiny human, and then going back to normal full time function deserves a celebration, and gratitude towards my body. So when I heard about the campaign I felt inspired to be a part of it, regardless! I don’t measure up to what society tells me should be the ideal. 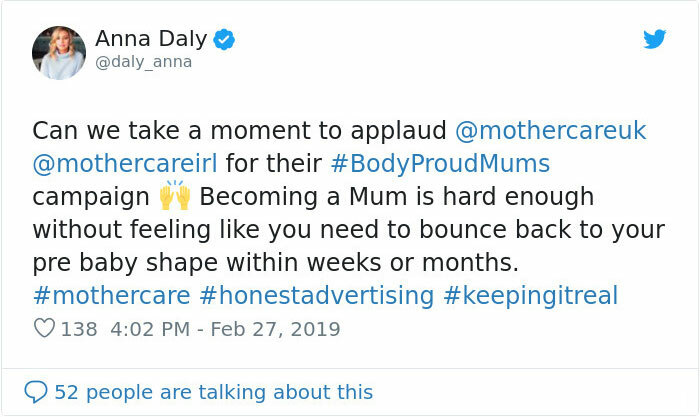 I feel people need to put less pressure on Mums to go back to their previous bodies before the babies and worry about their overall health mentally, emotionally and physically, to live a fulfilling life in order to give love and care for the new life. I like the project as it talks about how I feel regarding feeling beautiful today, right now and during all my journey into motherhood. Feeling proud of every mark I’ve obtained. It’s a wonderful price, and my worth has nothing to do with the way my body looks. I’m not represented as most Mums in the media are skinny and go back to their pre pregnancy bodies. But, it doesn’t matter – I am at peace with my body and I’m grateful for it. I would like to see more real life mums with all kinds of bodies – not only the typical young and skinny ones. They need to show an honest look, always. The best part of being a Mum of 6 is the love I see everyday. The smiles, the unconditional and honest gestures of love they share with me. The opportunity I get to help the world, making them good people who care about one another and enjoy little moments. I’m happy with my body, and only have an umbilical hernia that needs to be repaired due to my twin pregnancy, but other than that maybe I need to exercise when I get more time, as I need more energy to look after my six children. I don’t feel different after giving birth – I feel the same, and feel happier even that I gained lots of weight afterwards. It’s rewarding to be able to produce fruits and look after them!! It’s been a great and interesting journey being able to look after my children. I’ve been lucky enough to not have to work outside of the house – I get to enjoy every moment of teaching them the basic and more to prepare them for real life. Provide them love and sustain them in every little moment. I’ve grown in so many ways and they are shaping my character and teaching me how to enjoy and see beauty in the little things. Time is priceless and nothing is more rewarding than that. During pregnancy I felt absolutely alright – only a few moments of sickness. I guess I always love being pregnant, and love the way my body changes to grow a baby. “I always knew my body would be different after giving birth, however, I didn’t expect my mind to take so long to get used to seeing myself. I was never “skinny” but I put on more weight than I thought I would. A lot of friends had babies close to me and they post online about their bodies, and I do feel upset sometimes that I haven’t bounced back in the same way they have. I know every woman is different and I am not as hard on myself anymore. ”I actually love my body. It has done the most amazing thing, and I acknowledge and honour what it has created for me. Any marks left are a welcome reminder of our journey. I was very lucky and had what could be regarded as the ideal pregnancy. I have fibromyalgia, and the hormones from pregnancy made all my pain go away, which was even more amazing for me. The best part of being a mother is seeing my baby’s happy little face each morning. I love the way he looks at me, like he knows how much I love him and he feels safe with me. “I felt that this project will help me express and hopefully inspire people about the beautiful changes in a woman’s life and body that occur during and after pregnancy. I hope to show people that this is normal, and it is part of the beauty of being a mother. Now I feel like I am very excited to be part of such a project. I would like to see more of natural beautiyfy and the reality which comes along with acceptance from the world. The media makes it seem that stretch marks and weight gain is not normal but reality is that it is. Life began. The best part is seeing my baby and husband together with me every morning! (onwards). Seeing her grow and smile. Seeing how she changes. Coming from a size 4 to a size 8/10 my body feels and looks different. I used to have a flat stomach and now I don’t. My back and down there still feels sore from me to time, my breasts looks bigger and i have stretch mark on my thighs and stomach. I never expected to feel this way. You never understand the changes your body goes through during and after pregnancy until you embark this journey yourself. At first the changes are scary but I learnt to accept them and love my new body. Pregnancy is like a rollercoaster ride. There are ups and downs. My journey was with ups and downs. Some days were good while others were bad. My body went through changes and everyday was different. From morning sickness (which lasted an entire day or two) to stomach cramps and muscle pulls and aches on the legs. Some nights kept me awake while others were great. Some days I kept healthy while others I had pizza for breakfast and crepe with strawberries, banana and chocolate for lunch. Some days I felt very emotional and cried all day. But you get stronger as the days go by especially when you feel you baby kicking/moving for the first time. I started to feel happier knowing my baby was on her way. I enjoyed shopping for baby clothes, toys, nappies and essentials. I felt excited to prepare for our little one’s arrival. During this journey, my life changed. It was the most beautiful experience and continues to be as I raise my two-month-old baby girl. And now looking at my beautiful baby girl everyday puts a smile on my face. Her little face makes me appreciate my body and its changes which are normal. I don’t feel ashamed of my stretch marks, hanging belly or the extra fat I’ve gained. They all came with a big bundle of joy. Having been a small size ALL MY LIFE with a flat belly and slip legs and arms, I did feel under pressure to ‘bounce-back’ to my pre-birth body. Some people laughed at my new body and I felt insecure. I did feel embarrassed and I tried to hide my body. Then I realised that the changes are normal. My body doesn’t have to ‘bounce-back’ to my pre-birth body as long as I’m healthy. I realised my stretch marks are a sign of beauty and i learnt to accept myself. I am happy with the changes. And i am happy to share my scars with the rest of the world to show them that they are normal and beautiful. Women like me should never feel insecure. Flaunt that body with a smile and confidence! “I loved the idea of celebrating postpartum bodies. I have always struggled internally with my weight and how I feel about myself. I put on 4 ½ stone in pregnancy and have lost about 2 ½ so far. How can I hate my body when it has given me my beautiful baby boy? My body has done something amazing, and to me that’s the most empowering thing. I feel like I’m doing this for all the mums who wear baggy tops or cry when they look in the mirror. To say: you are amazing! “I feel really excited to be taking part in this project. I wasted a lot of time worry about how I would look after having children. 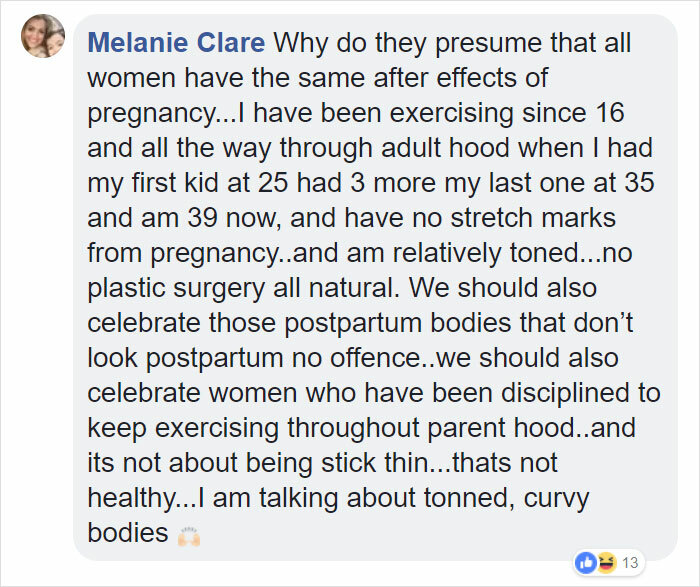 I was worried about weight gain and stretch marks especially as so many women in the public eye seem to ‘bounce’ back! Since giving birth to my babies I have a new found respect for my body, even with my extra jiggle and stretch marks. I am proud of what it has archived by bringing Lily and Eloise into the world. I am excited to be part of a project celebrating post-partum bodies because our bodies are all amazing! I would love to see more divert in advertising. There are a lot of celebrities used which not everyone can relate to. The best part is walking into their nursery in the morning (even if I have had no sleep) and feeling like a Rockstar. I am always greeted with giant gummy grins, gurgles and excitement. This is when I realise what an honour it is to be a mother. Before giving birth I was very preoccupied with my figure I worked out a lot and I had very high expectations of myself. Throughout my pregnancy I was shocked at how much changed and it was hard to accept the changes. Since giving birth my body image has changed, and I am proud of my body for holding 2 babies. They were born at full term and no health issues. I don’t mind having tummy wrinkles, it’s a small price to pay for these beautiful little girls. I had a healthy pregnancy, but it was hard. My belly was full term size at 6 months and it kept growing. I found it really hard to walk and I contently had people stare in shock at my size. I even had strangers make comments on the size of my tummy. “I wanted to do this partly for my own self-confidence, to help with acceptance of my scars and new life. Also to bring some attention to post pregnancy disease and complications. To an extent I feel like advertising is becoming more relevant. I guess I’m more likely to read women’s magazines, so sometimes I feel those adverts are more high end (affordability less likely!). I think child’s products are represented well in advertisements. The best thing about being a Mum is watching your babies personality develop, and learning how to read their needs and wants. It took a while to bond with Amelia due to my sickness, so feeling that love develop is amazing. I’m a little thinner than pre-pregnancy, however, my shape has changed and my stomach is disfigured due to the scar. I feel upset sometimes as the scar reminds me of my surgery, and nearly losing my life. However, it’s also a reminder of how lucky I’ve been and that it’s all been worth it to have Amelia here. When it’s more obvious – ie, when I’m in the gym, I feel more self-conscious. Once the morning sickness passed about 20 weeks, I was really enjoying pregnancy and showing off my bump. I exercised regularly and looked forward to getting to meet her. I had psoriasis over my body during the 2nd and 3rd trimester, so my tummy was spotty and looked quite funny! I had my daughter 6 months ago, Amelia. She’s a wonderful, smiley little thing. My pregnancy caused immediate liver failure after I gave birth and I spent 1 month post birth, following an emergency Liver Transplant, in Kings College Hospital London separated from her. I Love being a mum more than I imagined I would. It’s not been the start I hoped for- as I could barely even hold her for the first couple of months and had to spend time away in hospital… but ultimately I survived and I’m able to be with her and my husband. I’m accepting a different life than I was expecting. I’m also accepting my scars and the defect on my stomach now. “I was inspired as celebrating my post-partum body is something I wanted a positive platform and opportunity to do so. I also would love to capture these precious first months of being a mum in a special way. As a darker skinned female, I very rarely feel respected in advertising. I would love to see more varied skin tones. As well as ‘normal’ body types without the label ‘plus size’ or ‘curve’. The best part about being a new mother is knowing that your body grew and gave life to something so special! I feel ok about my body, but I would be lying if I said I was 100% happy about the way it looks right now but that’s more due to fitness than anything else. During pregnancy I adored my changing body I loved my bump but did worry about how it would all change once I gave birth. Once I did give birth, I felt like my old body had died, my confidence was on the floor, I had endured my first operation of my life in order for my child to be born so I was scared, my stomach was lined with angry looking stretch marks and my belly felt and looked like a popped balloon. I was devastated and didn’t think I would feel that way at all. It took several months for me to even let my partner see me naked, I can’t believe I felt so ashamed. Now, I’m learning that this is the new me now. My stretch marks are going nowhere and nor is my scar, they are reminders that without them I wouldn’t have my son. I can always lose the excess weight, but for now. I’m too busy enjoying my boy. My pregnancy journey was amazing. Minimal medical needs, baby was growing and developing almost by the text book. “When I was pregnant, I hated seeing pregnancy and maternity wear all using skinny models with fake bumps. Brands such as Seraphina, ASOS maternity which cater specifically to pregnant women but use fake pregnancy models just make you feel fat. Society tells you to embrace the beautiful new you, but yet the new weight, new baggy clothes all make you feel fat rather than “glowing and pregnant”. So the inspiration behind this project is to show real women, all different shapes and sizes actually not caring about their “big” thighs or “big” bellies – and just trying to be comfortable in their own skin. It’s rare to see Indian models with curves and big busts. I would like to see more Indian models with lumps and bumps! At the beginning, being a new mother is so so hard. When you go past the 4 month period they suddenly start recognising you and smile at you when they wake up! I am not a fan of my new body. Before birth I was muscular and worked out a lot. Now I don’t have time to work out and everything feels saggier! I didn’t expect to feel suddenly so old and droopy! I know it will come back with time and dedication to exercise again, but right now all I want to do is cover up with baggy clothes. I had terrible morning sickness for the first 5 months of pregnancy. Everyday felt like a bad hangover. Tired, needed sugar, sleepy but can’t sleep. Then suddenly it passed and you feel great and energetic – I even made it to the gym! The last two months you can’t sleep as you are so big and can’t ever get comfortable. The thing that surprised me the most was also the breathlessness. Babies pushing down on your lungs gives you the feeling of having walked up a flight of stairs constantly! Pregnancy generally was just alright. I can’t say that I loved it, or felt bonded to the experience. There is more to a postpartum body than the changes that meet the eye. Yes, struggling to accept the extra flab, stretch marks and sometimes cesarian scars is one part of the battle but there is a lot going on behind the scenes. Women experience a whole host of discomforts following birth including fatigue, sweating, vaginal discharge, hemorrhoids, swelling of the hands and feet, and constipation.